HomeRingwormWhat is This Skin Fungus? Are you having skin fungus problems? Perhaps you have blemishes or spots that won’t go away, or may even be getting worse? What are these places that drive you insane with itching and burning, and how can you get rid of them? In this article we will look at the answer to some of those questions. Skin Fungus: What is It? These appear to be the most common types of skin fungus; both are caused by fungal cells. They are over growths of organisms that can, and often do live on the human body. They are part of the human flora, and in check cause no harmful effects. The problems occur when the balance of good vs. bad germs becomes upset and the infection is allowed to flourish. Contact with another individual that already has a virulent infection. The Fungal Culture is the most reliable and most used test for determining which type of skin fungus you have. It’s important to see your doctor, especially if you don’t know what you have on your skin. The wrong self-diagnosis can lead to using the wrong treatment, and that can be potentially harmful. There are a variety of signs and symptoms that present themselves with any skin fungus. I’ll list a mash-up of many of them here. If you notice any or all of them, it may be time to get treatment. These are a list of the symptoms associated with Yeast Infection and Ringworm. Here is where you would think it gets tricky, but the treatments for the two described skin fungi are remarkably similar. For Tinea and Candida, it is the fungus aspect that makes the treatments so similar. There are several methods, from home remedies to advanced IV medication. *CAUTION – Make sure you know what you are doing to your body. Safety first. One of the most important things about skin fungus treatment is that you take and use your medication exactly as it was prescribed or directed. 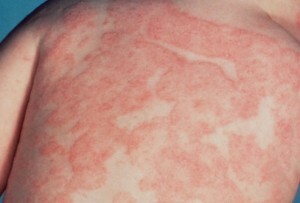 Fungus can be infectious even after the symptoms have gone. Stopping your treatment before directed to do so could invite a recurrence. Well, it’s likely your skin fungus is either Ringworm or a Yeast Infection. Regardless, you should probably get it looked at to make sure which is which. Also, when you start your treatment, whether it is a home remedy or high powered medications, make sure you use and/or take it like you were told to do; else you could end up making it worse. So get rid of that skin fungus, no matter what it is! What are the two most common forms of fungus on the skin? True or False: Candida causes Ringworm. 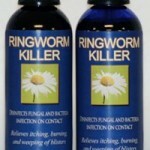 Which is NOT a symptom of ringworm?